This remarkable instrument combines the high accuracy of a top performance counter and a wide-band DVM with a visual waveform display. The multi parameter display shows up to ten different signal parameters simultaneously. 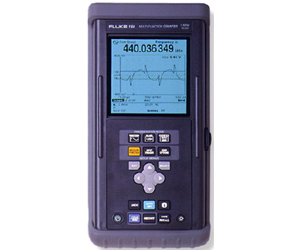 The 50 MHz waveform display gives a precise picture of your input signal trigger conditions.